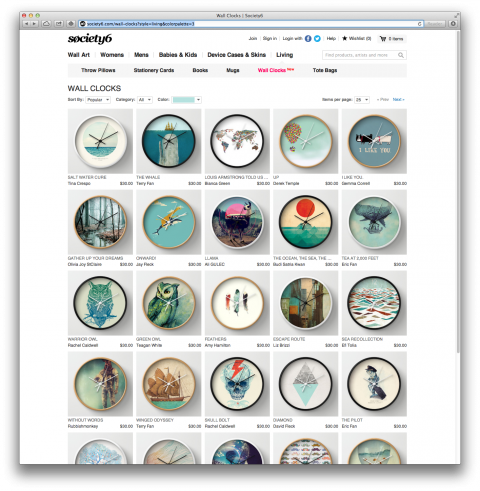 Society6 just recently launched Wall Clocks. Available in natural wood, black or white frames, the 10″ diameter unique Wall Clocks feature a plexiglass crystal face and a backside hook for easy hanging. You can choose between black or white hands to match your wall clock frame and art design choice. These are phenomenal!! Thank you! Thank you so much for sharing, these make great gifts! There has been enough clocks made of LP records, time for invention! These are very nice, thank you very much for sharing. Very cool, I know where I’m getting my new clock from!